Vaping has come a long way in the last few years, with companies pushing out all kinds of advanced high-power mods and extreme performance sub-ohm tanks at such a rapid pace that even professional reviewers are finding it increasingly difficult to keep up with them. 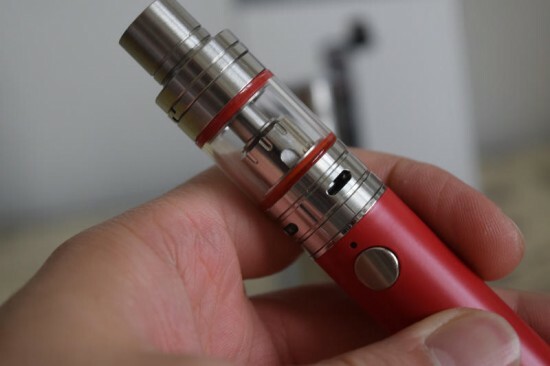 Basic vaping gear, on the other hand, seemed to be largely ignored last year despite the fact that that’s exactly the stuff the vast majority of vapers are interested in. However, if the start of 2016 is any indication, we’re witnessing a return to the basics, as more and more companies release simple yet highly efficient devices aimed at beginner and intermediate vapers. 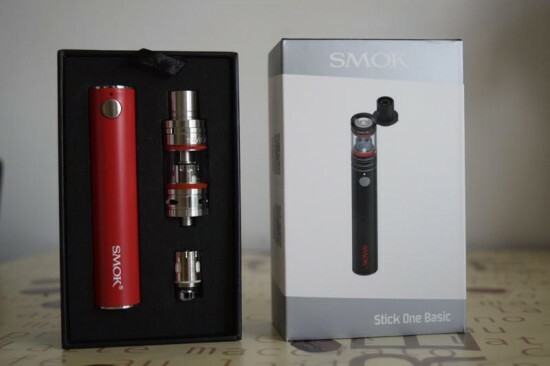 The Stick One Basic kit comes in the usual SMOK packaging – a shrink-wrapped black cardboard box containing the company’s new 2200mAh “eGo Cloud” battery, a modified version of its popular TFV4 sub-ohm tank called the TFV4 Nano, two different coil heads – a pre-installed micro CLP2 0.3 ohm Clapton, and a micro STC2 0.25 ohm stainless steel coil head, a USB charging cable, a silicon dust cap that can be attached to a lanyard (not included) for improved portability, a decorative vape band, a detailed user manual, and a bunch of spare o-rings. For a price currently ranging from $27 to $38, I consider the Stick One Basic starter kit a pretty good deal. Would I have liked some other things included? Sure. As with any other closed system that doesn’t allow external battery charging, a spare battery unit would have been preferable, but that would have pushed up the price of the kit significantly. The inclusion of a wall adapter, on the other hand, wouldn’t have, and, for me at least, it’s a really useful accessory. Value for money, though, the Stick One Basic kit is a very good deal. Design-wise, the Stick One Basic unit is a very slick minimalist device. 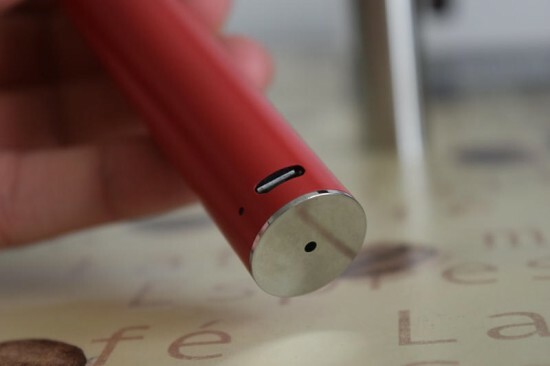 You have the cylindrical eGo Cloud battery reminiscent of the original eGo-style batteries, but with a cuple of added bells and whistles – a small LED battery indicator right above the firing button and an equally small battery charging indicator on the left side of the micro USB charging port. The only button present on the unit is the firing button, which is used both to activate the battery and turn the device on or off by pressing it five times in rapid succession. It’s a testament to the simplicity and usability of the Stick One Basic. You have no button combinations, no advanced settings menu to go through, just vaping at the push of a button. The TFV4 Nano is basically an even smaller version of the SMOK TFV4 and TFV4 Mini sub-ohm tanks. 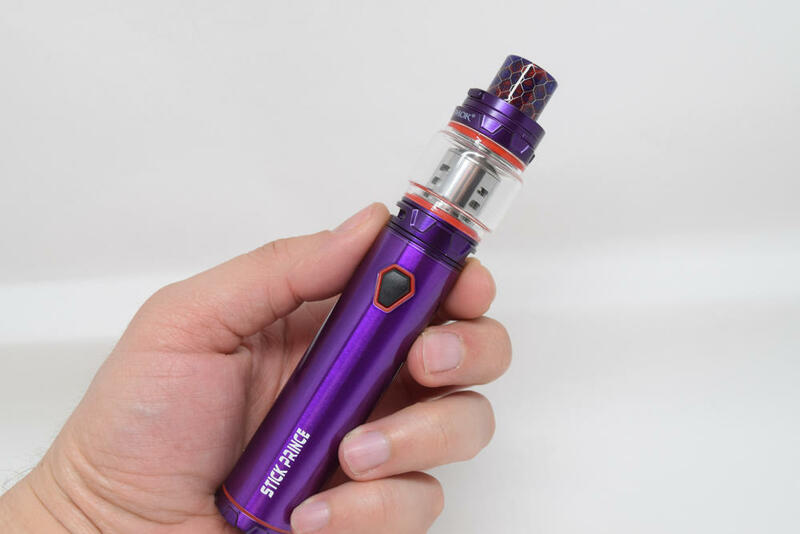 It has a juice capacity of 2 ml, the same top-filling system as its older brothers, bottom airflow control with four cyclops slots and a shielded drip tip that makes burning your lips a non-issue. The Nano tank is made of stainless steel and glass, and uses scaled-down versions of the high-performance SMOK TFV4 coil-heads. The Chinese company has so far released only two different types of coils, but I’m sure more will follow soon enough, as was the case with its previous iterations of the TFV4. 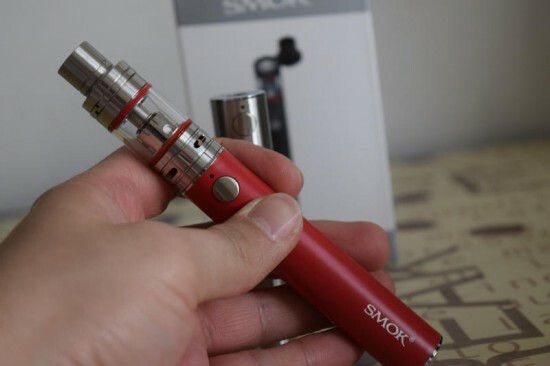 Although considerably longer than the Stick One Plus e-cigarette (140 mm) , the Basic version is the thinner of the two, measuring just 19 mm in diameter. It might stick out of your jeans pocket a little bit, but its slick design and reduced weight (118 g) make this device comfortable to carry around. We didn’t have 2200 mAh batteries back when classic eGo batteries were at the top of the food chain in the vaping world. In fact, I think the highest capacity eGo I have ever used was the 1,600 mAh VaporFi Rocket. Nowadays, with so many high capacity devices flooding the market, these figures hardly seem relevant, but it’s worth considering that we are talking about an entry level vaporizer kit that operates at a set voltage range of 3.7V – 4.2V, depending on the charging level of the battery. 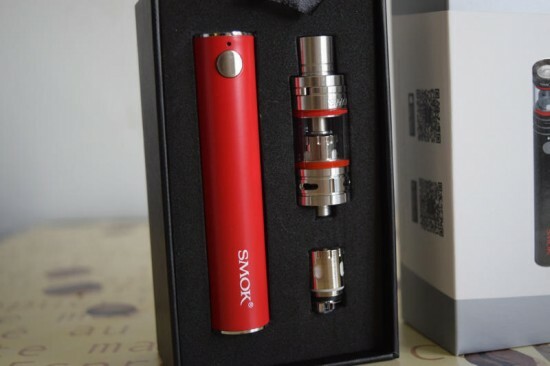 The SMOK R80, for example, has a built-in 4000mAh battery, almost double the capacity of the Stick One Basic’s eGo Cloud battery, but also a wider voltage range (0.8V – 9V) meaning it could theoretically deplete faster. For a device this size and this simple, 2200 mAh is an above average battery capacity. I have no doubt that it can last most casual vapers a whole day without needing a recharge, but for chain vapers like myself, it’s not going to cut it. The most I got out of the Stick One Basic was around half a day of vaping, after which – had I not had other spare device – I would have had to wait around two hours for it to recharge. 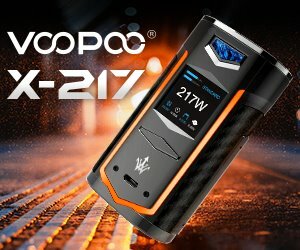 This is why I would have loved for SMOK to include a second battery, but I guess that if you’re worried about battery life, you can always buy a spare eGo cloud battery. Another thing worth mentioning is the passthrough feature that lets you use the device even as it is connected to a power source. It’s less useful when you’re on the go, but at home, or at the office, it beats having to wait for the battery to fully recharge. The Stick One Basic battery has a small LED indicator right above the firing button. When the voltage is high enough (above 3.5V), it blinks 4 times, slowly, indicating that the battery has a sufficient charge, and when the voltage drops below 3.5V, it blinks 4 times, fast, telling you it needs a recharge. When you connect the eGo Cloud battery to a power source using the included USB cable, the charging indicator near the micro-USB port lights up red. After the battery has recharged completely, the indicator simply turns off. If you’re wondering what the tiny hole on the bottom side of the Stick One Basic is for, well, it’s a vent hole for the built-in battery, just in case something goes wrong, which from my experience with SMOK, should not happen. This is just one of the several safety features of the new Stick One series, along with an 8-second battery cutoff, low voltage protection, short-circuit protection and low resistance protection. The TFV4 Nano tank is definitely the highlight of the Stick One Basic starter kit. Not only does it offer the extreme performance of synonymous with the TFV4 line in a compact package, but it also has a 510 connection, which makes it compatible with the vast majority of vaporizers on the market today. So if you ever get bored with the Stick One, or if you feel like moving on to a more advanced device, you can use the tank with virtually anything. As I mentioned, the Nano has the same top filling system as the rest of the TFV4 tank family, which usually makes refilling a simple and mess-free affair. I did encounter a problem with this though. When using a larger dropper, like one from a 30 ml juice bottle, refilling was a nightmare. 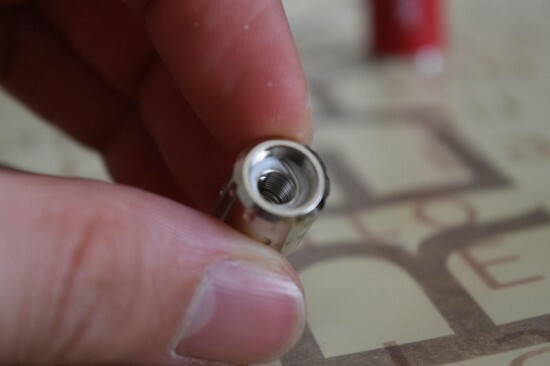 Because the refilling hole is considerably smaller than on the classic TFV4 tank, the dropper doesn’t fit all the way in, so the juice just spills out of the hole and into the central air shaft. It was really frustrating until I found that removing the rubber gasket so that the tip of the dropper actually reaches the inside of the tank. You shouldn’t have this issue if you’re using a smaller dropper or a needle tip bottle, but I thought I should mention it, just in case someone else runs into this kind of trouble. Performance wasn’t exactly problem-free either, unfortunately. 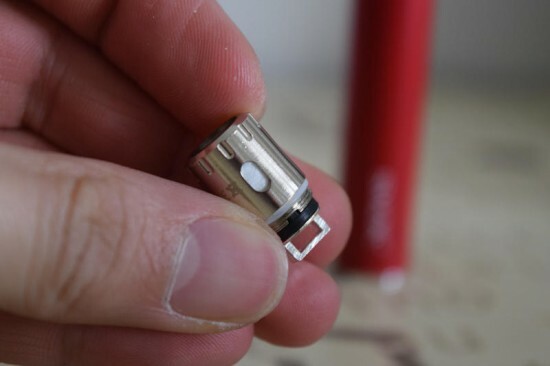 The CLP2 Clapton coil-head that came preinstalled in one of the two Stick One Basic units I received for this review made my first experience with this device a total nightmare. I did everything by the book – I rinsed the tank with hot water, made sure to prepare the coil by dropping a little juice on the cotton wicking and then let it wick properly for about 15 minutes after filling the tank. The first couple of puffs had a bad metallic taste, the vapor production was worse than from an old cigalike and then I started getting dry hits. Something was definitely wrong, so I took out the second unit. I installed the stainless steel coil-head in this one and I got a completely different experience. The first thing that blows you away is the vapor production. 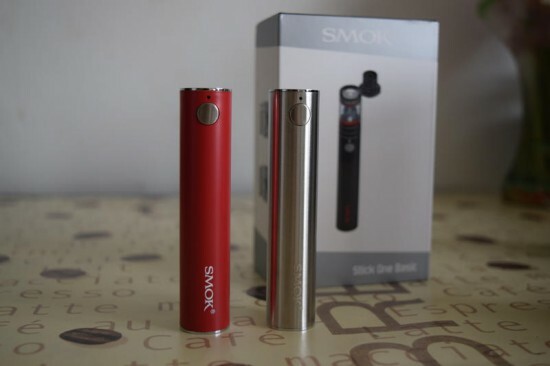 The Stick One Basic can definitely go toe to toe with other more advanced and considerably more expensive devices, at least in the vapor department. The TFV4 tanks are famous for their vapor production capabilities, but I never thought the simplistic eGo Cloud battery could provide the necessary power. I was wrong. 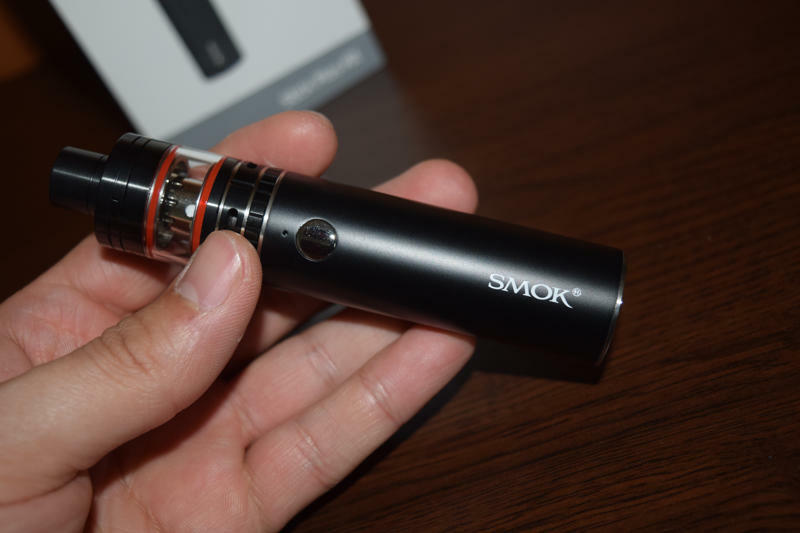 These SMOK micro coils may be smaller, but they perform almost as well as the classic ones. But, in true TFV4 fashion, they also soak up juice like crazy. You get big fat clouds of vapor, but you pay for them in juice. I don’t think I’m exaggerating one bit when I say that I sometimes had to refill the tank more than 6 times a day, and that’s no laughing matter. You’d better stock up one-liquid if you’re going to buy the Stick One Basic. Flavor-wise, the Nano does a decent job, the flavor is there, but as with other TFV4 tanks, it’s noticeably muted when compared with an RDA or with the Joyetech Cubis, for example. For beginners coming straight from smoking or cigalikes, flavor will definitely not be an issue. The really good news is that flavor-junkies can replace the coil heads in the Stick One starter kit with two different MTL (mouth to lung) coils sold separately. SMOK were kind enough to send me some samples of these, and I can confirm that they really do improve the flavor quite a bit, although their high resistance does take a toll on the density and temperature of the vapor. I never did find out why that first coil head I used performed so poorly, but the very same time of Clapton coil from the second starter kit worked perfectly. I guess it was just a dud. But while we’re on the topic of Clapton coils, I personally don’t think they are the right choice for this kind of regulated device. As we all know, Clapton wire doesn’t heat up as fast as standard wire, and these coils are no exception. To get the most vapor possible, you have to first prime the coils or simply press the fire button a couple of seconds before drawing, to get them cooking. The STC2 stainless steel on the other hand, heat up nice and fast. Unfortunately, the MTL coil heads are both Claptons as well, so… Well, it’s not a disaster, just not the best choice, in my opinion. I couldn’t wrap up this review, without briefly comparing the Stick One Basic to the popular Joyetech eGo AIO. They are very similar devices, aimed at the same category of vapers, so it’s only natural to compare them. 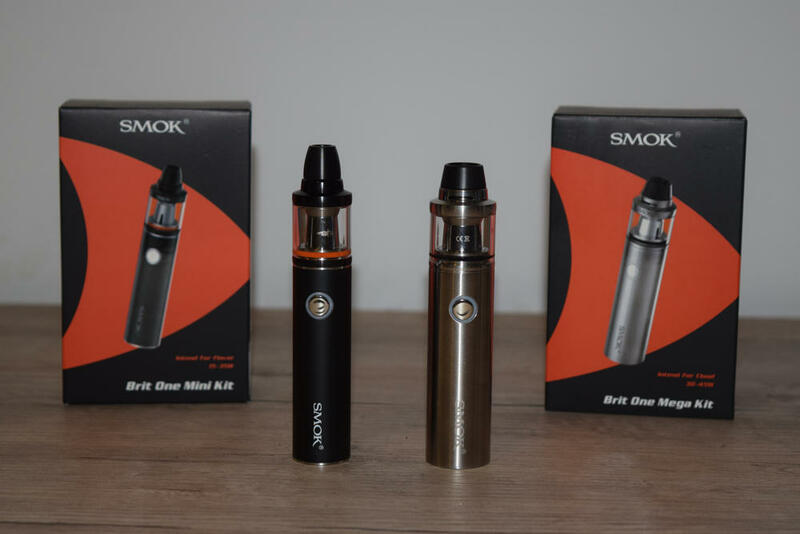 While SMOK’s device is definitely the winner in the vapor production department, thanks in part to the use of smaller resistance coils, but as far as flavor goes, the eGo AIO is the clear winner. 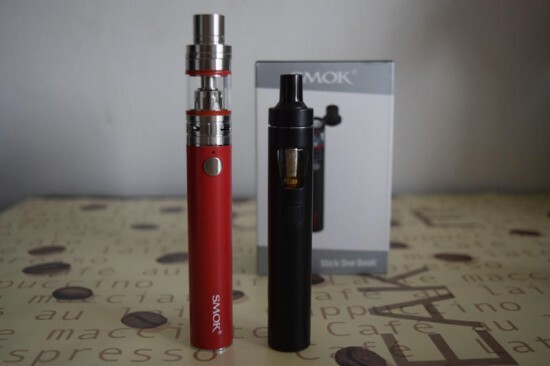 Battery capacity is again in favor of the SMOK STick One Basic, with a whopping 700 mAh advantage, but the Joyetech eGo AIO is the cheaper device, though not by much. So they both have their pros and cons, and ultimately the choice comes down to personal preference. I for one am a fan of both. Looking at this website gave a lot of information but not the kind I was looking for. I got got the SMOK stick X8 four days ago and I found out I have a defective battery. It won’t charge and it’s brand new. 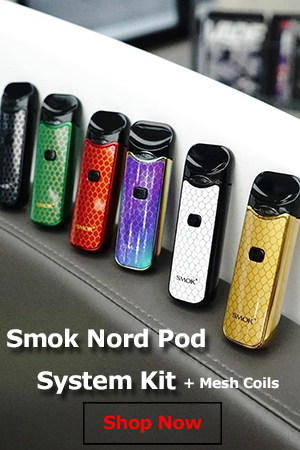 I’ve never had any problems with SMOK but this is ridiculous.